This entry was posted in bagua, choy li fut, goju, jeet kune do, Martial Arts, Muay Thai, shotokan, uechi and tagged guerrilla fight, indian fight, indian martial, ninja stealth skill on October 25, 2016 by aganzul. This entry was posted in bagua, bruce lee, gichin, kwon bup, Muay Thai, shorei ryu, wing chun and tagged aikido, karate, kenpo, martial arts legend, martial arts power, taekwondo on January 19, 2016 by aganzul. Myth and Mysticism in the Martial Arts! Do you study Karate? Or kung fu or kenpo or Taekwondo? Or even Mixed Martial Arts? Then let me ask you a question. Would you turn in your car for a horse and buggy? Why not? After all, the horse and buggy is the old standard. Will never blow a fuse. You’ll get a thousand gallops before the old girl keels over. So why not? Okay, so let’s rephrase that…would you give up your horse and buggy for a car? Sort of a silly question, isn’t it? So let’s talk martial arts. Your kung fu or Kenpo, your Karate or Jujitsu, those are horse and buggy. They are routines based on mysticism. They are born of legends which cannot be proved. Mind you, they were great in their day, but why not put them aside for something a little more scientific? Here’s the thing, people are taught monkey see monkey do. They learn methods based on the movements of the tiger, or some old nun, or some cosmogony that may or may not bear much resemblance to reality. They are not taught scientifically. Yes, the arts work, but here’s the question…do you want to ride a horse across the US? Or take a car? Heck, the car is going to be ten times faster, easier on the bones, and fun. The car is built scientifically. The horse is a miracle of evolution…but it is not a scientifically designed mode of transportation. It is slow, requires constant feeding, and leaves noxious waste. So what do you want to do? Keep going with the old mystical mystic stuff? Or learn ten times faster? If you want to understand something, not just do it blindly, then you need Matrixing. And you can find matrixed martial arts at MonsterMartialArts.com. This entry was posted in Black Belt, chi gung, gichin, kenpo, marines, Muay Thai, shito, Tai Chi Chuan, wado and tagged horse and buggy, judo, karate, kenpo, Martial Arts, mma, shaolin, taekwondo on August 4, 2015 by aganzul. When it comes to Jujitsu throwing or Karate punching I will always take karate punching. I know this is going to ruffle a few feathers, but let me state my case. Back in the sixties and seventies there weren’t many organizations, no protective gear, no mommies worrying as they watched their seven year old learn Karate. There were so few schools that I had to travel fifty miles to class, and the only people I trained with were VERY dedicated. Dedicated people who didn’t sign up because they had seen a Bruce Lee movie (Bruce Lee wasn’t around when I began Karate, he was yet to come), but because something inside them was driving them. Over the next few years protective gear was introduced, chain stores started up, people who had studied for a couple of years were promoted and went off to start their own schools, and the worth of Karate sank. But before that happened I saw people do things that people today simply cannot do. Can you break a standing brick with a half fist? How about sticking a hole in a board with a single finger? How about taking a full power kick to the groin? Such things are virtually unheard of these days. And I am not just an old fuddy duddy hearkening back to the ‘good, old days.’ The things I speak of happened, were verifiable, and the level of Karate was much higher. Here’s the interesting thing: people can do more back flips and fancy kicks today. People can do more difficult forms. But they are showing the fat, and the real meat hasn’t even been cooked. Flash forward…the Ultimate Fighting Championship is the most popular arena in the world. People crowd into MMA schools so they can ground and pound, and classical karate, and Kung Fu and many other arts, are fairly well ignored, or taught to children in large chains, which merely exacerbates the problem. Yet I have never seen anybody step into the ring and do the type of Karate punch I was trained in. I have never seen anybody who could punch an arm and break a bone with perfect focus and a calm mind. MMA, you see, is using boxing. Many claim that Karate punches are too stylistic, won’t work. But none of the people who say such thing trained back when these Karate did work, when students were trained until they could make Karate work, and only the dedicated survived. 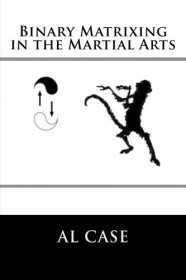 About the Author: Al Case began martial arts in 1967. Check out his Outlaw Karate course. There is also an Outlaw Karate book (same material but no video) available on Amazon. This entry was posted in Black Belt, deadliest martial arts, goju, home study martial arts, karate, Muay Thai, TaeKwonDo and tagged Bruce Lee, jujitsu, jujitsu grappling, karate, karate punch, Karate punches, karate striking, protective gear, ultimate fighting championships on February 26, 2015 by aganzul. Can You Earn A Black Belt in A Year? Well, it certainly doesn’t take 4 or 5 years to get a black belt, and that is in any martial art, Karate, Kung Fu, Taekwondo, or whatever. I say this off the top because people think it does take that long, and this is one of those big lies that has been foisted upon the public. Chuck Norris earned his black belt in Tang Soo Do karate in about a year and a half. Mike Stone, one of the best tournament fighters ever, and the fellow who taught Priscilla Presley Karate, earned his in something like 7 months. So you can earn a black belt in karate pretty fast. In fact, back in the sixties, it used to take about two years. That’s right. And fellows who were above average and dedicated could get there in about a year. So what happened to make it longer and harder to get expert ranking in the martial arts? Tracy’s Kenpo Karate hired a fellow from the Arthur Murray Dance Schools to put karate sales to contracts. The contracts were based on a four year program. What this meant is that people were in contract, committed to a four year program of paying fees. It wasn’t long before every martial art jumped on the bandwagon. All the talk of zen and noble warriors, and it was about a buck. When I wrote ‘Outlaw Karate: the Secret of the One Year Black Belt,’ I had this in the back of my mind. Me in 1974. Karate had just gone to contracts, but I could see how it used to be. I had studied Kenpo, and knew how it was based upon selling a technique or two every week for for years. I had studied classical karate, and I had seen how people loaded up the systems with all sorts of stuff, just to make it longer to teach so they could keep students. I had also come across the facts I recited earlier, about it taking only a year or two, and I was interested in returning the art to that rate of training. And, let me say something else, I saw that people who learned by those faster methods were better. They were better because they weren’t overloaded with data from multiple arts, they weren’t trying to absorb exercises and drills designed to make training time longer, they were better because they were aimed at a goal, and that goal had not been spread out over time. Spread out, which is to say dissipated, weakened, diluted. Which is to say that because they hadn’t been sold a bill of goods, they were not confused or sidetracked in their training. I actually discovered several different methods of getting a person to black belt in a year or less, and this in any art. More important, I discovered ways of putting the martial arts to logic; a logic that is not inherent to the eastern methods of learning. Outlaw Karate: The Secret of the One Year Black Belt, is one of those methods. it is one of the better ones because it reduces karate training to the basics, to the methods used back in the sixties. No frills, just the hardest core techniques that worked in a fight, and which built a karate fighter out of anybody who was willing to work hard, and keep his eye on the target. The name ‘Outlaw Karate’ comes from the fact that I thought I was going ‘outside’ the boundaries of Karate. Actually, I found out that I wasn’t, I was just returning to a harder time, a no nonsense time when people knew they could get where they were going by applying themselves. A time not configured by ‘contracts’ and the desire to make as much money as you could from a student. Outlaw Karate: The Secret of the One Year Black Belt, is only $15 on Amazon. I suggest, if you are serious about Karate, and want to break away from the bushwah and the frippery of contract sales, that you get the book. Focus on one form every two months. Schedule a couple of hours every night, and go for it. Do the forms, get a partner and do the techniques, do the drills and freestyle. At the end of a year you will be in the best shape of your life. Your reaction time will be non -existent and you will be moving intuitively. Most important, you will be a living testament to the way the martial arts used to be. One of the many books I have written about how to earn a black belt in a faster period of time, and yet be a better black belt. You will be a diehard fighter of unparalleled prowess and common sense. You will find out truths about yourself that are available nowhere else in this culture, on this planet, anywhere. That’s my Outlaw Karate Promise, and my guarantee that you can get a black belt in one year. And I invite you to email me and ask ANY questions you wish, and to let me know how you are doing. That’s Outlaw Karate: The Secret of the One Year Black Belt. 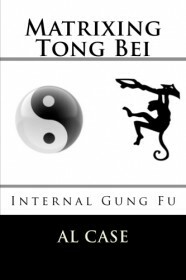 ABOUT THE AUTHOR: Al Case began martial arts in 1967. Among the arts he has studied are Kenpo, Karate, Aikido, Wing Chun Gung Fu, Northern Shaolin Kung fu, Southern Shaolin Kung Fu, Tai Chi Chuan, Pa Kua Chang, and various weapons. He became a writer for the magazines in 1981, and had his own column in Inside Karate. He is the webmaster for MonsterMartialArts.com and several other martial arts related websites. He is the discoverer of Matrixing Martial Arts logic and Neutronics Martial Arts Philosophy. He can be reached through his websites. This entry was posted in aikido, american kenpo, Black Belt, Black Belt Course, choy li fut, fut ga, goju, gung fu, home study martial arts, hung gar, isshin, karate, kenpo, kung fu, mantis, martial arts books, Muay Thai, pa kua chang, pan gai noon, shaolin, shito ryu, shorei ryu, shorin ryu, shotokan, tae kwon do, Tai Chi Chuan, wado, wing chun and tagged black belt, can you get a black belt in a year, how long does it take to earn a black belt, how long does it take to earn a black belt in aikido, how long does it take to earn a black belt in bjj, how long does it take to earn a black belt in judo, how long does it take to earn a black belt in karate, how long does it take to earn a black belt in kickboxing, how long does it take to earn a black belt in krav maga, how long does it take to earn a black belt in kung fu, how long does it take to earn a black belt in taekwondo, kenpo karate, kung fu, Martial Art, Martial Arts, Priscilla Presley Karate on December 10, 2014 by aganzul.